In the Bible we find people worshipping God alone but mostly in groups. 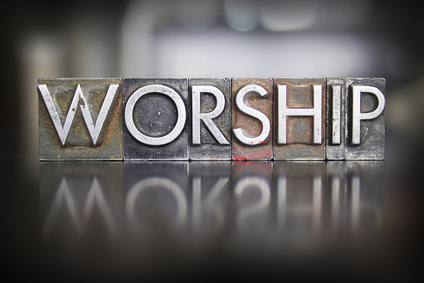 Worship may focus outward or inward but always it seeks to see God and honour him as he is, to worship the Lord in beauty and holiness. William Temple said "To worship is to quicken the conscience by the holiness of God" so worship is about a reaching for God and a response to God. Most of the time in church when we talk of worship we mean something that we do together in church. When we worship together we work together as a team so we need order and structure to help us and this can enrich all of us. It would be rather odd if some prayed while others read scripture and some sang. This would be more a gathering of individuals than a group doing something special together. The liturgy is the form and words that help us work together in worship and brings order to potential chaos. The liturgy may be little more than a structure or it may hold everything that is said but its purpose is the same, to help us worship God in wonder, awe and joy together.